Maltstock is an event like no other. While Dramboree has some similarities – and spun out of the same desire for whisky fans to sit around, drink whisky and talk rubbish – it’s not the same. Maltstock is just more…well…Dutch. This year was my fifth time at the relaxed whisky weekend and my favourite yet. It also featured the strangest masterclass I’ve been part of – a pyjama party preview of Grant’s Ordha with Tony van Rooijen. I really like Tony’s whisky masterclasses, with his Glenfiddich 21yo deconstruction at Maltstock two years ago still being one of my favourite tastings I’ve attended – it’s not every day you get see a room full of blind-tasting whisky geeks vote for Glenfiddich 12yo with lots of added caramel colour as being better than an anonymous (and very tasty) Balvenie, and it’s even less common to see the person leading the tasting leave the room of now-grumbling geeks without injury. I didn’t see Tony’s name on the schedule, but he was running a special tasting with a difference – a pyjama party. It’s not quite as random as it seems, as Tony is now well-known for his beautiful silky pyjamas. A few years back at Maltstock, he bid his drinking buddies good night and went to bed, only to re-emerge a few minutes later to ask them to keep the noise down. In his silk pyjamas. The group was impressed and offered him a dram. He accepted, photos were taken and a legend was created. 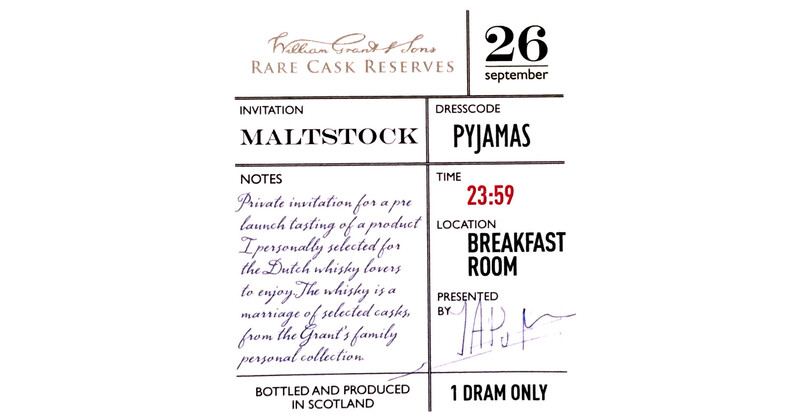 While I missed the announcement of the tasting, I did pack my pyjamas before heading to the Netherlands, mainly because they fold up smaller than a sleeping bag, and I had already filled the rest of the space in my case with whisky. I arrived for the tasting at midnight to be confronted by a group variously dressed in matching pyjamas (it seems that the clothes store in nearby Nijmegen that they all visited only has one style), onesies, t-shirts and even a long nightshirt complete with nightcap (and over-the-shoulder dreadlocks dangling out of the bottom like an untamed trouser forest – good work Jochem). Sat on the blanketed floor of what is usually Maltstock’s breakfast room, Tony explained why he’d gathered us together. Earlier this year, Grant’s asked him to select some casks from their Rare Cask Reserves to create a blended whisky for the Dutch market. The whisky will be appearing soon, and this was to be a preview tasting. According to the label on the sample bottle, the whisky is called Ordah, which Tony told us was Gaelic for rare. I can’t find that in the online Gaelic dictionaries, the closest being Ordag, meaning thumb or big toe. However, WhiskyBase agrees with the spelling I assumed when Tony introduced the whisky – Òrdha, meaning golden. It’s a 21yo blended whisky, bottled without chill-filtration at 41.4%. 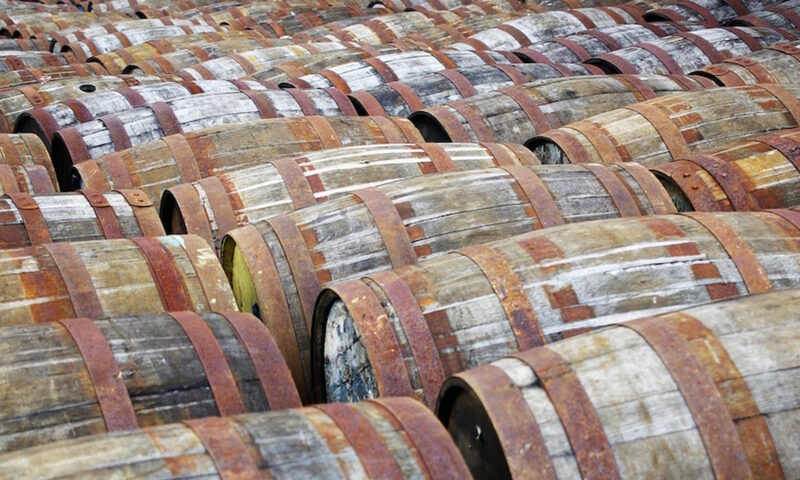 There are only about 4000 bottles and knowing the Dutch whisky market, it won’t hang around for too long. Nose: It kicks off with toffee, salted caramel and a hint of seaside ozone. Singed bananas and honeysuckle are joined by toffee apple sweetness, brandy snaps, spicy speculaas biscuits, candied lemon, cola bottles, black pepper, barrel char bitterness and some resinous oak. Palate: Spice leads the way, with cinnamon, nutmeg and black pepper tempered by thick toffee, caramel sauce and tarte tatin. Peppery oak sits behind with a touch of menthol, but after the initial spice the focus is on creamy sweetness: milk chocolate, Chantilly cream and malty Ovaltine. It doesn’t get too much, with fruity notes drawing it back from becoming cloying – lemon, apples, pears, some sweet and sour tropical fruit, and, a spot-on note courtesy of tasting buddy Ivar from tasting.guru, unripe peach. Finish: Vanilla custard and spiced baked apples (really squishy), with cinnamon lingering after the fruit has gone. It’s a good dram, but too sweet for me. It’s got a solid spiciness that draws it back from being over the top – enough that if it wasn’t for the 21 year age statement, I might think there was some new-oak-matured whisky in the mix – but not quite enough for me. That said, I suspect it’ll do well, as long as it’s not too pricy. We had it in Kevin Abrook’s masterclass. I think it’s awesome. Price was expected to be around € 125 (currently, with the weak Euro being about £ 9.95) and to be released in mid October. It made my wish list! Rachel MacNeill liked this on Facebook. Bob Wenting liked this on Facebook. Chris Hammond liked this on Facebook. Sjoerd de Haan-Kramer liked this on Facebook. Nancy Rockwood liked this on Facebook. Clearly I was ahead of the trend bringing my Sonic the Hedgehog PJs to Dramboree. Jochem Hiddink liked this on Facebook. Victor Poederbach liked this on Facebook. Were you wearing the pyjamas at the time Of your AAA ( Accidental Ardbeg Anointing?) If so NEVER wash them again! Kevin Abrook liked this on Facebook.